How To Make Money Online As A Ghostwriter Actually there are a lot of increasingly and creative ways to make money online that are being discovered and also being put to use every day. And what is even more fascinating is the fact that most of these tools being use don't cost anything. They are actually free. Here is one way you can use to generate $50 in the next 24 hours. Make money writing Ghostwriting articles. You have to have some writing talent to ghostwrite articles. You do need to be organized, able to research topics quickly, summarize the main points and write the article in a clear way, with correct spelling and grammar. The article length can range from 200 words to 1000 words or more. Payment is usually by the word. For beginners, a 500 word article can be sold for about $5.00. An accomplished ghostwriter can charge up to $30 for a 500 word article. The client gives you the topic and any key words that must be included in the article. How long it takes to write the article is dependent upon how much you already know about the topic and how quickly you can find the materials you need to research the topic. It is possible, working at a steady pace, to write ten 400- 500 word articles in one day. That is $100 at $5 per article. Both Digital Point and The Warrior Forum have threads where people offer their services for sale. You can post an offer at no cost on Digital Point but you have to have been a member and have 15 posts to your name in order to do so. Warrior Forum also requires that you have been a member for a while and there is a fee to post a WSO. However, you can still earn money through these boards. Join both of these groups. Scan the posts on the WSO thread and the Buy-Sell-Trade board at Digital Point. Offer your services to the people who are asking questions about the services currently offered, or who have said they have bought the services. Do this by the private message function on both boards, not by posting on the thread. Place ads on Craigslist and USFreeads offering your services. If this method is religiously followed, you will start making money every day as a ghostwriter on the internet. 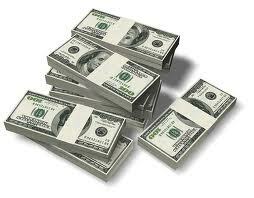 This is one simple way you can start making money on the internet without spending a dime.